I absolutely adore San Diego. From beach to city, mountains to the sea, everything is spitting distance away. If I were ever planning to move out of Florida, I think it’s the first place I would consider. 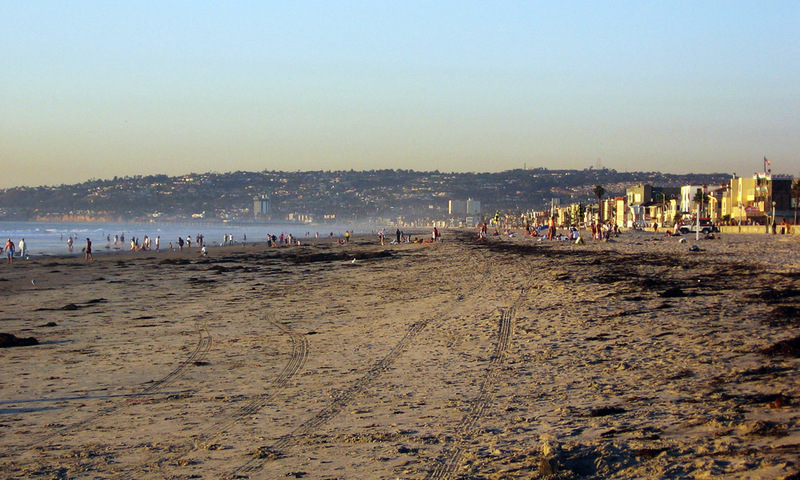 San Diego is known for its beaches; it has 70 miles of them, after all. It doesn’t hurt that the weather in San Diego is nearly perfect year round. Not too hot, not too cold, and perfect for a day at the beach. Carlsbad, Solana, and Point Loma are all great, but Mission Beach is one of my favorite spots. 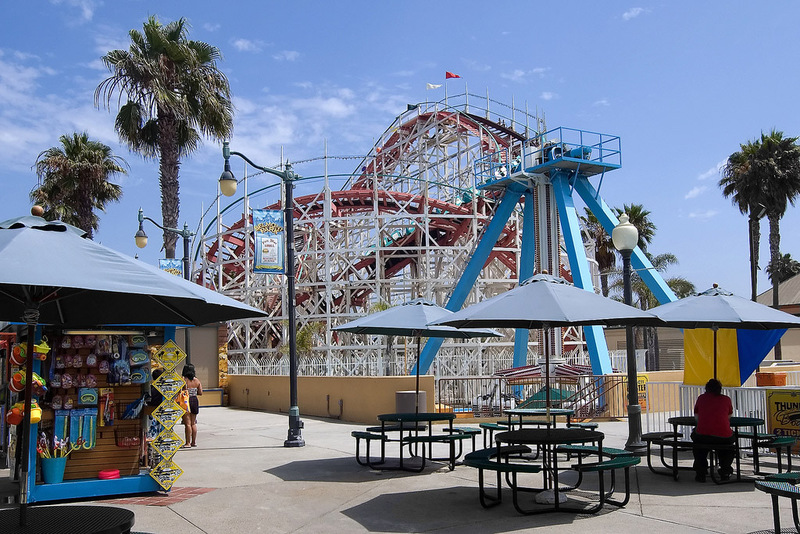 Probably because of the huge wooden roller coaster at Belmont Park…hey, sometimes the beach is more about the THINGS at the beach than it is about the beach itself. AMIRIGHT? Mission Beach is such a cute little community too.The drive over is gorgeous, and there’s a big open field for picnics, frisbee, or other activities. We also love a little restaurant called Mizu Sushi that looks right out over the green field with the coaster in the background. 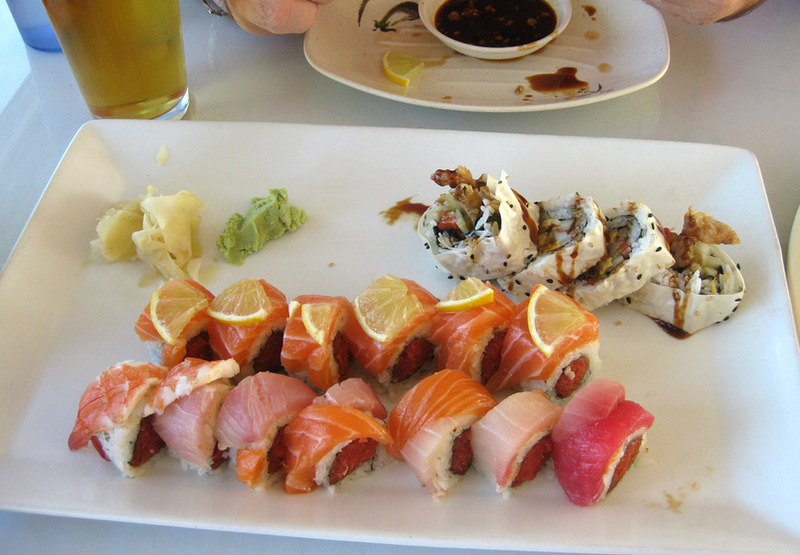 My husband and I picked up a couple of rolls last time we were in town together and they were yummy. It’s not a fancy place like you’ll find downtown, but the perfect mix of casual and delicious. If you’re spending time in San Diego, check out this list of things to do in San Diego. Several are close by, especially Sea World, which you’ll pass as you drive over to Mission Beach.